When I was a teenager someone lent me the book ‘The Long Walk’ written by Slawomir Rawicz. It tells the tale of a Polish Army lieutenant imprisoned by the Russians in a Siberian Gulag following the German-Soviet invasion of Poland. The book claims to be a true account of his escape with five others, although subsequently this has been challenged. They journeyed south for 6,500 miles including across the Gobi Dessert, Tibet and the Himalayas finally reaching British India in the winter of 1942. When I first read the book it was said to be a true account, but when I re-read it about six years ago doubts had been cast on its authenticity. Either way it is a cracking read and one of my favourite books. 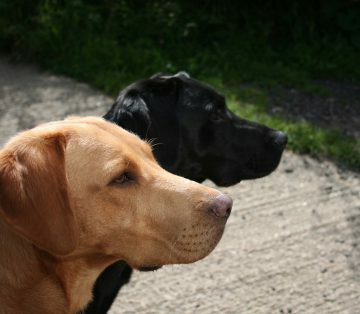 Today we are on our own ‘long walk’, I promise you that we did every step and that it is all true! As mentioned previously Lynnie had a walk in mind, so today she is in charge of our route. 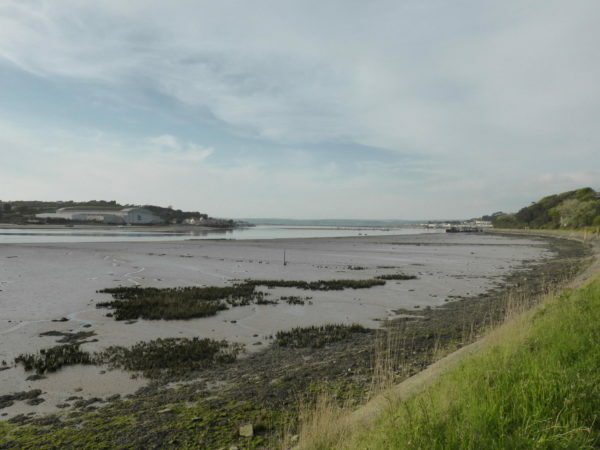 We park up close to the site where the East Yelland power station used to be and join the Tarka Trail towards Bideford. As we pass the Instow cricket pitch we see preparations for the afternoons fixture, but no time to stop we have miles to cover and we need to get to the Hocking’s van before they run out! We are quickly by the old Instow Station. A rather large cyclist is lying on a bench, on the platform, recovering. I am tempted to tell him that he might have a long wait for the next train, but seeing the size of him close up and his collection of tattoos I decide that discretion is called for. A bit further on we reach Instow Limekiln. I like a limekiln, as you will find out when we get to Settle in June. This one is a fine example and was used to burn lime for fertiliser to spread on the Devon fields. Both the lime and the coal to burn it where brought here from South Wales. 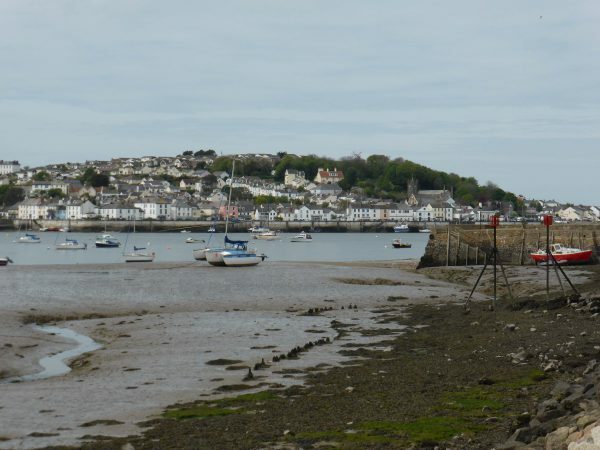 We pass the Marine’s jetty, camouflaged boats are moored alongside, we carry on towards Bideford. 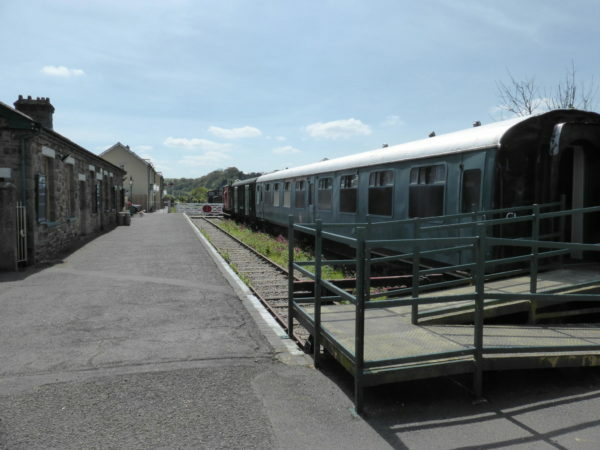 At East the Water we arrive at the old Bideford station adjacent to the Royal Hotel. This must have been a special area in the days of steam. The rear entrance to the hotel is directly off of an old platform. The re-sited station located just a bit further up the track. 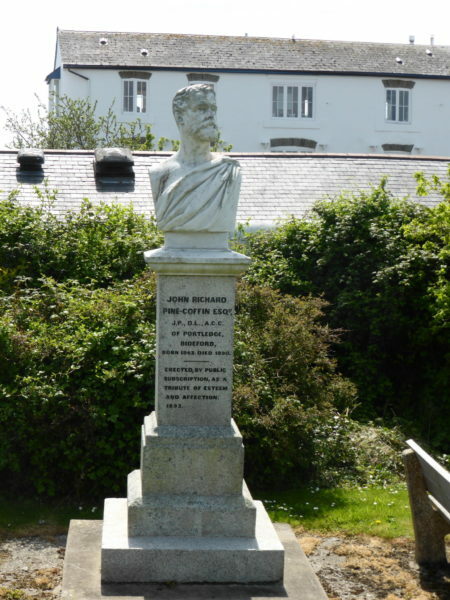 We leave the Tarka Trail to cross the old bridge into Bideford and immediately spot a memorial to John Richard Pine-Coffin (now there’s a name to conjure with), apparently he was held in high esteem by the people of Bideford and public subscription paid for his memorial. Why he was held in high esteem is difficult to establish, even with the help of Google. The bridge was built in 1474 replacing an earlier wooden bridge. It has 24 arches, as we step onto ‘Long Bridge” Lyn tells me that she recalls it being closed in the late 60’s as it was unsafe. Later research shows her memory to be correct, the west arch collapsed in 1968. As mentioned before I don’t like bridges, such incidents increase my anxiety. 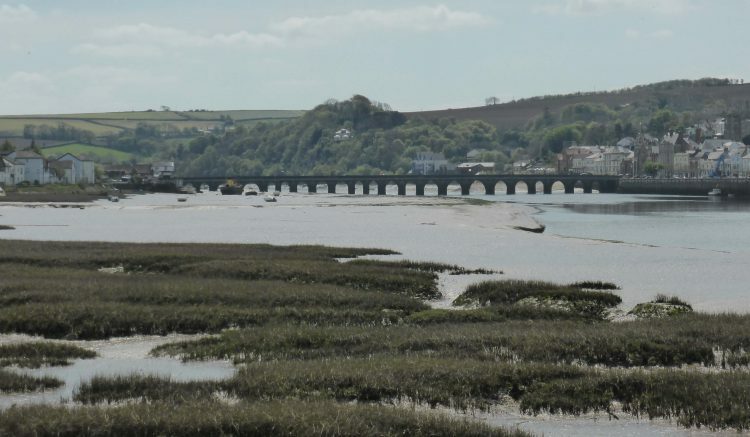 Bideford has the dubious honour of being the home town of the last women to be hung for witchcraft in England, depending on which report you read because others also lay claim to this macabre act. Three women from the town, described as being old confused and poor were prosecuted at Exeter Assizes, convicted of being witches, and hung at Heavitree in 1682. We enter Victoria Park, home of two Armada cannons and pass our first Hocking’s Ice Cream van of the day, parked close to the statue to Charles Kingsley. Note that I say pass. At this stage Lynnie is more intent on her sandwiches, which we eat on a park bench whilst watching a dozen overs of mediocre cricket. I would class my cricketing ability as below average, but in this company I would have been Bothamesque. Refreshed we continue through the derelict cattle market and under the new Torridge Bridge with its annoyingly noisy expansion joints, I would hate to live within earshot of it. We are now on the coastal path heading towards Appledore. Our route takes us around Appledore Shipyard, founded in 1855. The shipyard has an illustrious history building a number of vessels including the research ship the RSS Charles Darwin. The yard continues to build sections of aircraft carriers. Further along we come to the Richmond Dry Dock, built in 1855 but now standing derelict. Around the corner we reach Appledore Quay and Lynnie’s pace quickens. She has spied a Hocking’s van, this time it will get her full attention. I am encouraged to join her and surprise myself by saying I will have a ‘small 99’. Just as we finish, assisted by Dexter and Crosby, Lyn’s sister-in-law Mary hails us, coincidently she and John have decided to take a walk along Appledore Quay. Mary expresses astonishment at the distance Lyn has covered and what is still to come, she is offered a lift back in the car, but stoically she declines. We bid John and Mary farewell and continue through the streets of Appledore until we meet the main road. We reach a sharp bend, looking at the map I tell Lyn that this is known as Bloody Corner. She says that she is not surprised. We cross the road and see the inscription in a wall that informs us of the reason for the name. It reads, “Stop stranger stop. Near this spot lies buried King Hubba the Dane, who was slayed in a bloody retreat, by King Alfred the Great”. Tradition has it that Hubba the Dane landed with a fleet of thirty-three ships and marched to attack the hillfort at Kenwith. Legend says that in the ensuing battle at Bloody Corner Hubba and a thousand of his men were slayed. We leave the road and join a bridleway, almost immediately turning right onto a footpath, across a couple of fields and down a grassy bank and we are back on the coastal path we walked earlier, but obviously in the opposite direction. We go through Victoria Park, again we pass Hocking’s icecream van still by the park gates. 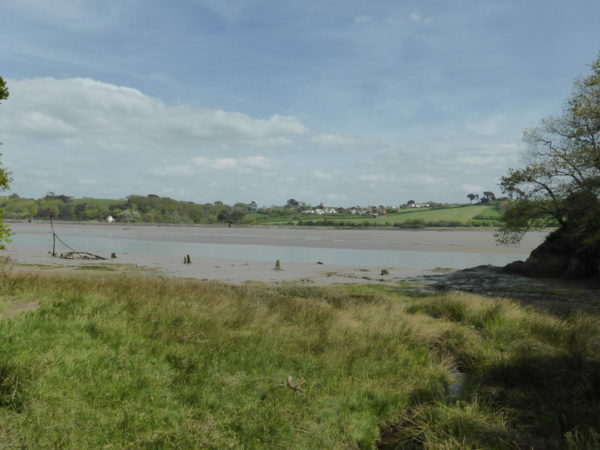 There is a new sense of urgency, there is a promise of a pint of Doombar when we reach Instow, and we are over Long Bridge in a flash and back on the Tarka Trail. At Instow we detour into the village and on the seafront there is another Hocking’s van. To my surprise Lyn declines the offer of a vanilla cone with a clotted cream topping. We find the Instow Arms packed, the evening sun has attracted crowds to the pub, no beer for me. 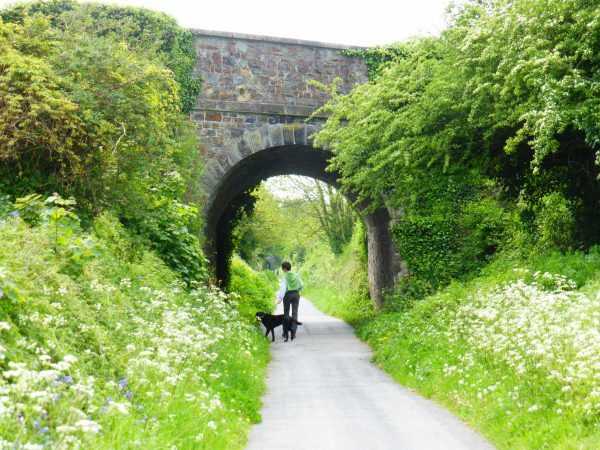 We stride on (or hobble) to rejoin the Tarka Trail and in no time we are at the car. 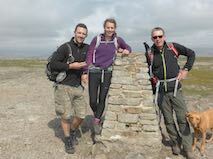 We have covered fifteen miles, (remember Lyn planned the walk!) the dogs are tired and Lynnie’s back is playing up and she has a blister. Apart from that we have had another grand day out! 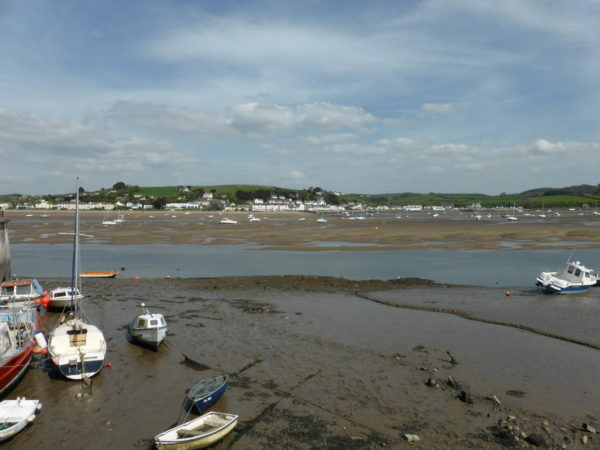 I was reliably informed by Fred that Appledore was two miles from Bideford. This proved to be untrue, it was in fact 3.5 miles. 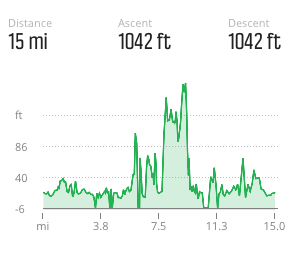 These additional 3 miles were agonising and should never have been undertaken without extra ice cream! Brother Huw has a similar tendency to under-estimate walks. In his case it’s the time he thinks it will take to complete the walk, rather than the number of miles. Michelle & I mutinied one particularly cold Boxing Day. I’ve explained that I’m not a wimp but have just got very short legs, this however is usually met with a dismissive grunt. As usual a lovely read. I love your writing . I type up a daily diary when on our travels and print and put in photos when home again. Great life!